So this was totally awesome! 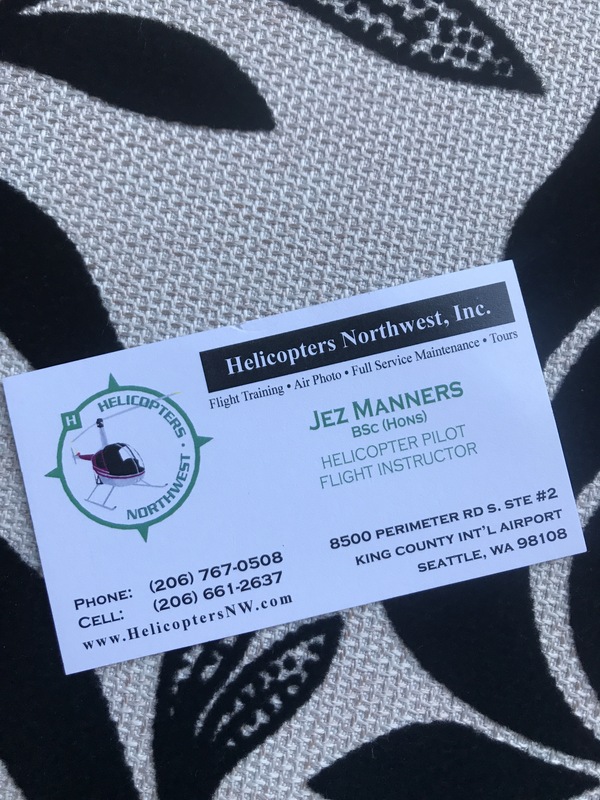 Since I’m in a mad dash to get my goal accomplished, a Groupon for a 20 minute helicopter ride over Seattle was right up my alley. And my husband was all in. And he’s not been exactly enthusiastic about all of my adventures. I mean he’s been fully supportive of this whirlwind year, but some of them he was simply not interested in participating: ice skating, snowshoeing, paint night, hiking, running a 10k. You catch my drift, right? He has however participated in several like golfing, skiing, random act of kindness date night, raising an 18 year old and his own 40th birthday (I mean those weren’t really optional) yet here we are. He’s a rad guy and I’m a pretty lucky almost 40 year old. The Groupon was for a Helicopters NW ride over Seattle. It had good reviews and it was a decent price for all three of us. His sister was not too happy about that. My rationale was that she gets to participate in my last adventure (coming soon…ahhhhh) and so this one would be for him. She forgave me. I just want you to know that I’ve come a long way. 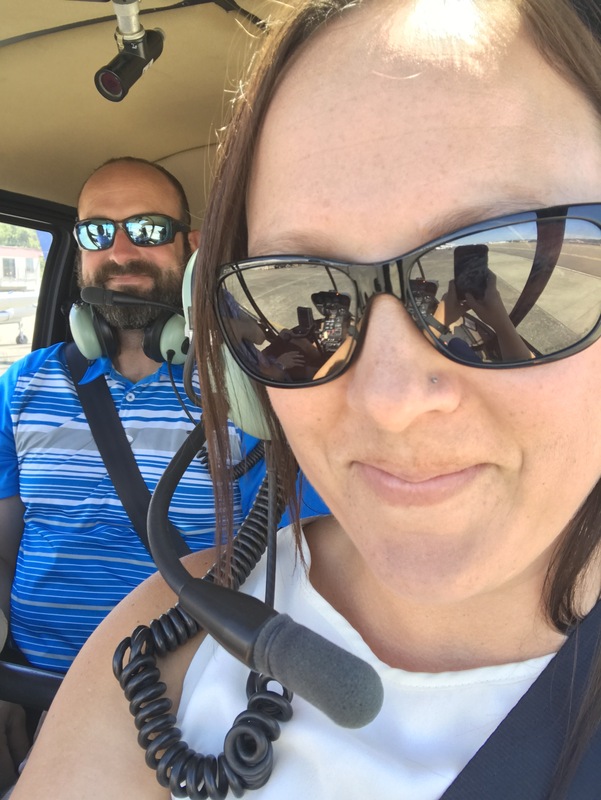 The person who was terrified of flying (I still don’t love take-off and landing) bought a helicopter ride. A helicopter ride, my friends. 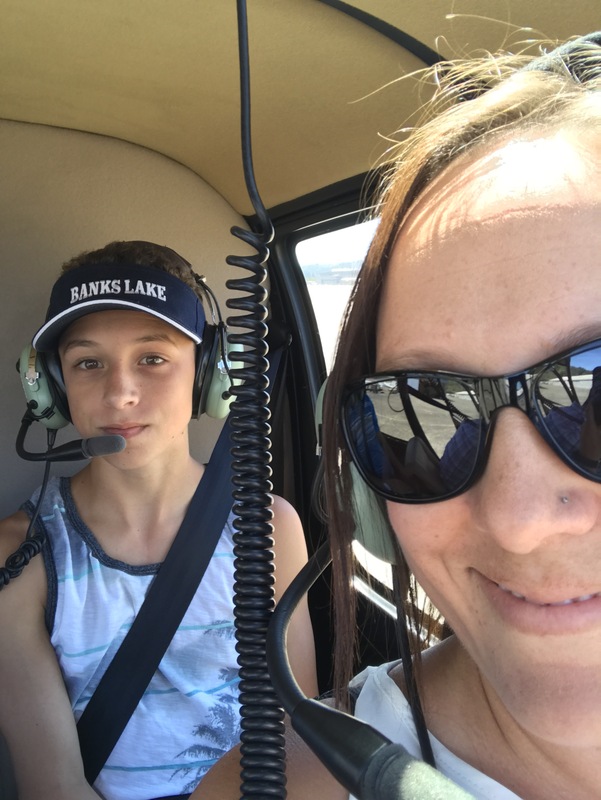 The person who needed “flying pills” as my young children once referred, is now throwing caution to the wind and risking her very life in order to complete a task on her ambitious bucket list. My husband is on vacation from his daily South Seattle commute yet he still drove us down to South Seattle in the early afternoon last Wednesday. When we arrived we met our pilot, Jez Manners, a pretty cool English guy with a great accent. He was funny as he shared his story of how he came to be a helicopter pilot in the United States. You should most definitely request him as your pilot when you book your helicopter adventure. And then you should also ask him to tell you his story. We climbed in after some safety stuff. I have no idea what he was telling me. I was clearly too anxious to listen. Wait, who am I kidding? I’m always a terrible listener. Ugh. Something new to work on when I run out of adventures. We put our headphones on and “check check” we were off. It’s really pretty crazy how those little cockpits are the only thing keeping us from plummeting to the ground. That and those propellers rotating fast enough to decapitate you if you got in their way. I stayed out of the way. Maybe I’m a better listener than I thought. Actually I didn’t really have any choice as Jez didn’t start the propellers until we were in the cockpit all buckled up and he didn’t let us out until they stopped spinning completely. Once we were up in the air, we flew over major landmarks like the Space Needle, Husky Stadium, downtown, Ballard Locks, Lake Union, Lake Washington, Bill Gate’s house and a bunch of other really rich houses and golf courses that someone like me can only dream about. One funny thing that our funny pilot pointed out was that if we looked closely at all the beautiful pools on all those rich people’s waterfront properties, there wasn’t one person swimming in them. He said there is hardly ever anyone swimming in them no matter the day of the week or time of the day. And if we had a beautiful pool in the backyard of one of those fancy homes, wouldn’t we want to swim in them? We had a blast riding in that helicopter and we learned some new things about Seattle. Have you ever been to Discovery Park and did you know that it was an old army base? We didn’t. Or that most of Bill Gate’s house is underground? I would totally recommend checking out Seattle from the sky. Parasailing looks so amazing. Especially somewhere like Hawaii. Where did you parasail? Thank you…I am also glad that I actually did it! Yes…the southern east coast is gorgeous! We just checked out that area last summer! Such a great idea. I think Seattle is so close that sometimes I forget I can be a tourist there too. It was so cool! And I totally agree, we are so close we forget to take advantage of all the beautiful things Seattle has to offer! I am a little scared of helicopters but have always wanted to do this. My husband is TERRIFIED of heights so sadly I don’t think I could even talk him into a twenty minute ride. It looks like such an amazing way to view the city though! It wasn’t too scary…the scenery is very distracting, so you kind of forget. I probably wouldn’t be able to do it either if I were afraid of heights! Seattle is already pretty amazing, but this was definitely a new perspective! This looks awesome! …and it’s totally on my Seattle adventure list too!